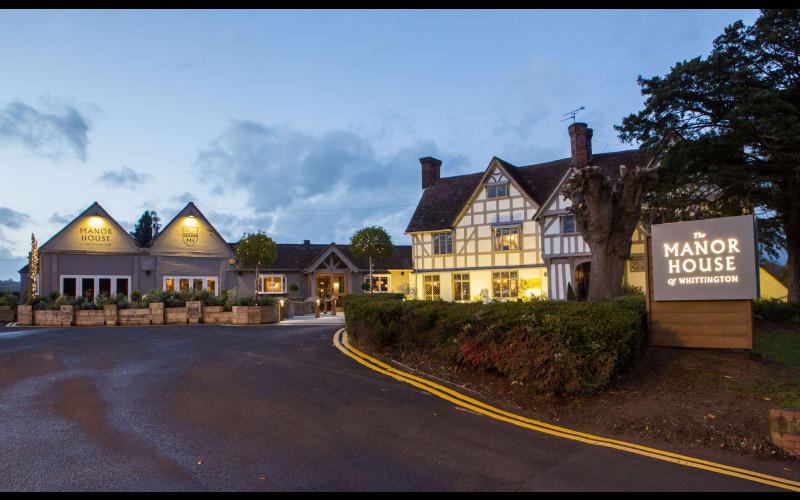 Explore the wonders of The Manor House of Whittington, a Grade I listed country pub in the heart of the West Midlands. Home to a warm and inviting pub, restaurant and bar, sit back and relax in one of their cosy corners or sip a sundowner on their expansive al fresco terrace. Take your pick from an extensive menu of seasonal dishes made using the freshest quality ingredients, with full-flavoured 21-day aged prime cuts of beef cooked in the Josper oven taking centre stage alongside an extensive array of show-stealing wood-fired pizzas. Come Sundays, tuck in to hearty roasts and sip on a selection of hand-crafted cocktails, world wines, boutique spirits and local ales. Housing a number of bookable spaces, the venue can cater for birthdays and celebrations to corporate events and business meetings. Whether you want to tuck into a light lunch or delicious dinner, The Manor House of Whittington is the perfect place for a mid-week pit stop or a leisurely weekend meal. Five lucky readers will be treated to a three-course meal for two, plus a bottle of wine chosen by the manager, soft drinks and tea or coffee.